Delta partners solely with American Express for its cobranded cards and, in my opinion, these options offer nice-to-have but not essential benefits. The Gold Delta SkyMiles Credit Card from American Express, the Platinum Delta SkyMiles® Credit Card from American Express and the Delta Reserve® Credit Card from American Express all offer priority boarding and a first checked bag free for you and companions (for a total of up to nine traveling on the same reservation). Keep in mind there are also business versions of all three cobranded cards. There’s also a more recently introduced no-fee card, the Blue Delta SkyMiles® Credit Card from American Express. With this card, you can get 2x miles on Delta purchases, as well as on spending at US restaurants, 1 mile per dollar on everything else and 20% off eligible inflight purchases when you travel with Delta. It’s currently offering a bonus of 10,000 SkyMiles after you spend $500 in the first three months. Unlike the other Delta Amex cards, it does charge a 2.7% fee on foreign transactions (See Rates & Fees). Benefits: Since late 2016, the Amex Platinum has been offering 5x points on all airfare booked directly with airlines. This allows you to effectively earn a very healthy 5 SkyMiles per dollar instead of the 2x earning rate of the cobranded cards. There’s a $550 annual fee (See Rates & Fees)(offset by premium benefits like a $200 annual air travel credit, $200 in annual Uber credits and a $100 Global Entry or TSA PreCheck application fee credit) and no foreign-transaction fee (See Rates & Fees). 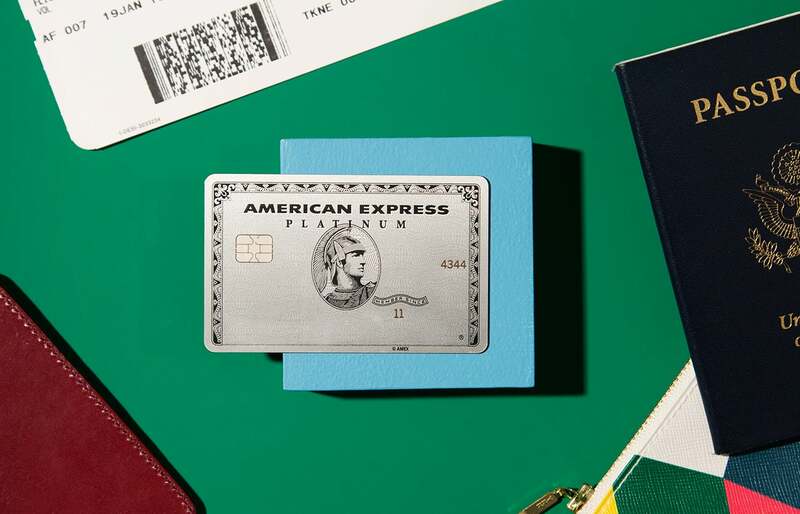 Benefits: Not quite as impressive as the Amex Platinum now that it offers 5x points on airfare, but this card will net you 3 points per dollar on all airfare purchased directly from the airline. In addition, it offers spending bonus categories of 4x points at restaurants. Overall, you can earn more SkyMiles on everyday spending with this card than on the cobranded options. The annual fee is $250 (See Rates & Fees). For rates and fees of the Gold Delta SkyMiles Credit Card from American Express, please click here. For rates and fees of the Delta Reserve Credit Card from American Express, please click here.